Hagia Sofia aka Aya Sofia is museum located in the old part of Istanbul. 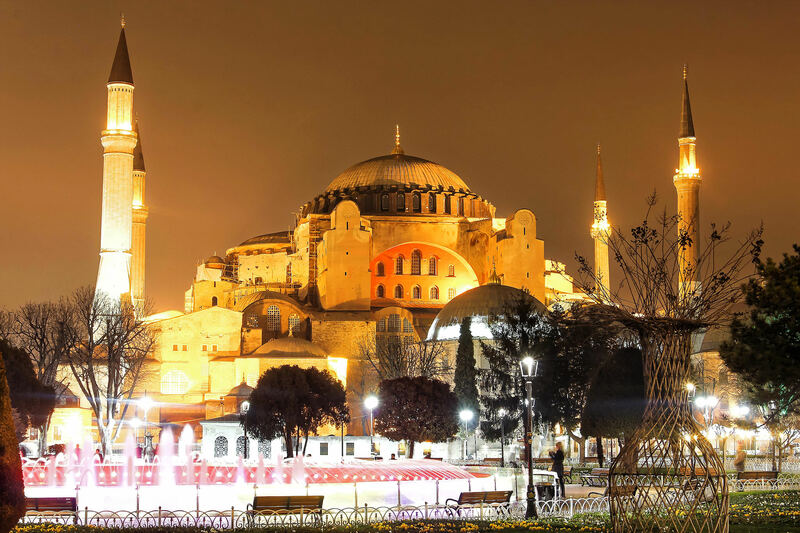 Its sits on the middle of the SultanAhmet Square, right across the SultanAhmet Mosque. This massive architecture has been standing strong for almost 1600 years. Earthquakes, wars and fires caused damages to it, but the excellent construction and restorations done over the years have ensured the continuity of this building. 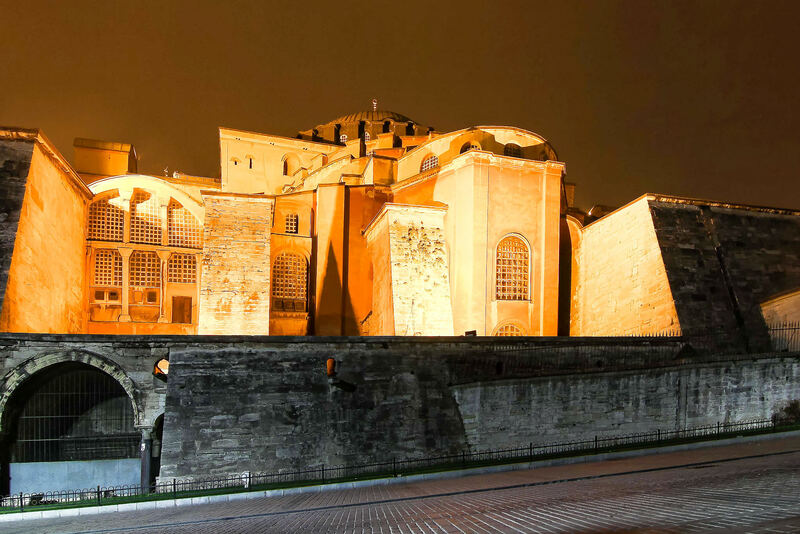 The museum was initially built as church, but was converted to a mosque in 1453 when the Ottoman empire took over. The church contained many massive muriels that were painted over after the conversion. 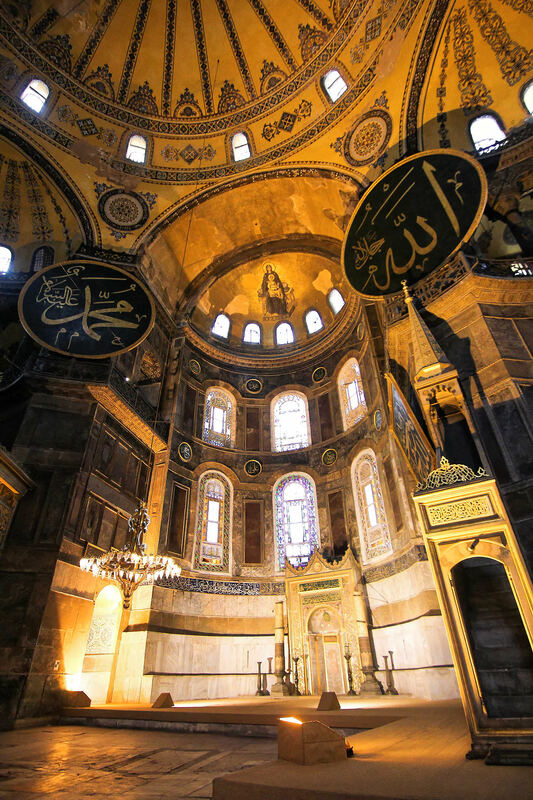 In 1935, the first President Kemal Ataturk declared the mosque as a museum. Since then archeologists have restored many of the old muriels and are in the process of restoring more. The building is strategically lit and provides an excellent subject for long exposure photography. A tripod and a fast wide angle lens is a must for internal photographs as the museum is not very well lit.